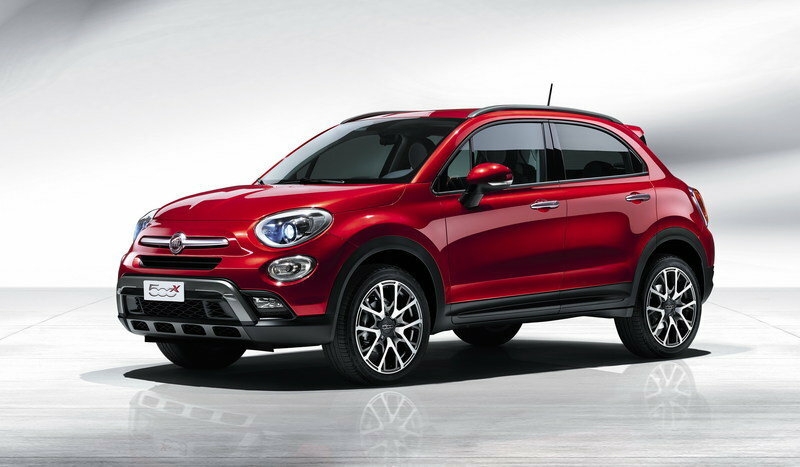 Fiat has revealed its revised 500X crossover which has been nipped and tucked for the first time since its 2014 European debut (in the US for the 2016 model year it was launched). It comes with a refreshed exterior with new front and rear light clusters, more tech, and improved engines. Update 12/12/2018: We’ve updated this review with images taken at the 2018 Los Angeles Auto Show. Check them out in our gallery below! On the outside, the 500X has received new LED daytime running lights and LED rear light clusters as standard in an effort to maintain the visual link between it and other 500 models. Also new are the optional full-LED headlights which not only look nice and modern but also increase illumination distance by 100 meters compared to conventional halogen headlights - this, Fiat says, gives the driver an additional four seconds to react when traveling at 56 mph. 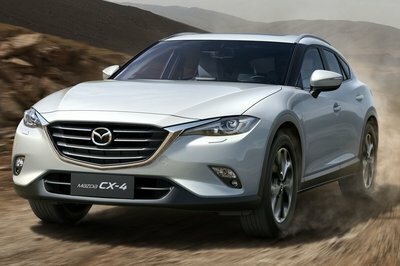 Two flavors of 500X are offered: Urban (the entry-level model) which has all-new bumper designs front and rear and emphasizes its capability on-road and Cross which adds skid plates to make it less daunting to take it off-road. 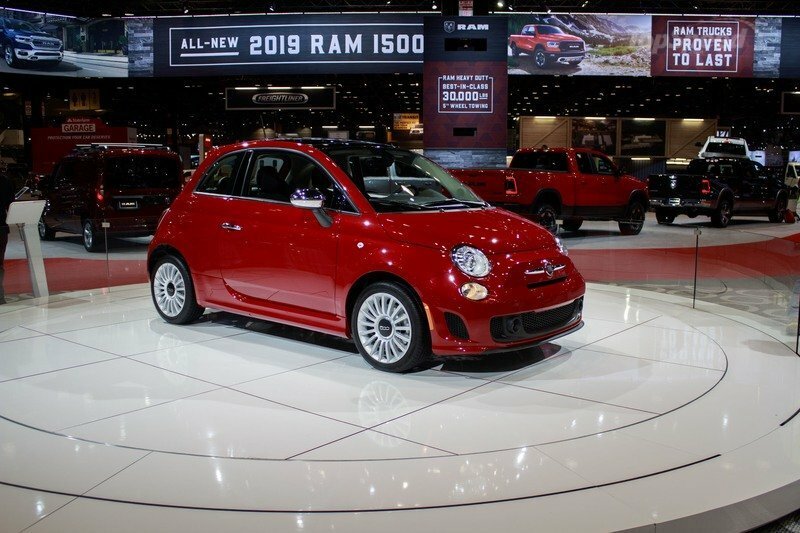 Fiat is debuting a revised range of engines for the refreshed 500X, which includes a 1.0-liter three-cylinder with 120 metric horsepower and 190 Nm (140 pound-feet) of torque, as well as a 1.3-liter four-cylinder with 150 horsepower and 270 Nm (199 pound-feet) of torque. 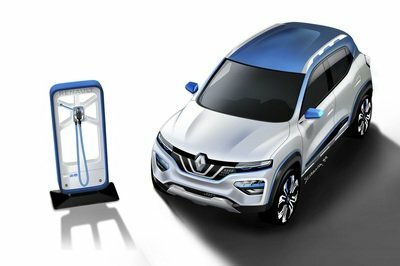 Both units are Euro6D-compliant and built around a 0.33-liter cylinder unit architecture, so the smaller engine is just the bigger one but with one cylinder down. Only transmissions offered are a six-speed manual for the three-pot and a six-speed dual-clutch automatic for the four-pot. The revised 500X keeps its occupants safe thanks to standard Traffic Sign Recognition, Intelligent Speed Assist, and Lane Assist and optional Blind Spot Alert, Adaptive Cruise Control (which works from 18 mph) and City Brake Control. Infotainment is handled through a 7-inch touchscreen which comes with Bluetooth, audio streaming, text reader and voice recognition capability. Apple CarPlay and Android Auto are both catered for, as well. In the UK, an entry-level 500X Urban with the older 1.6-liter engine with 110 metric horsepower is £16,995 ($22,376), but if you want the new 1.0-liter engine, then you’ll have to pay at least £18,995 ($25,005) - the 1.3-liter with the standard automatic transmission is £21,195 ($27,900). Read our full review on the 2018 Fiat 500X. 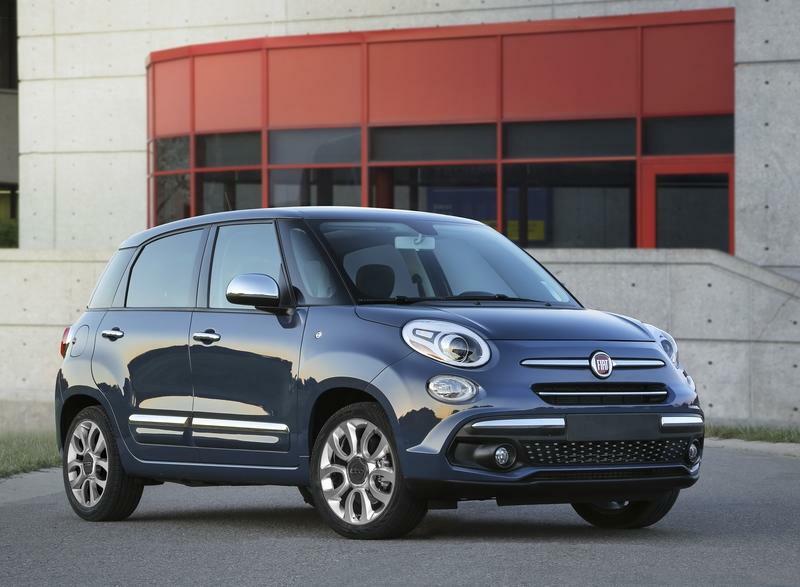 Read our full review on the 2018 Fiat 500L. Read our full review on the 2018 Fiat 500. 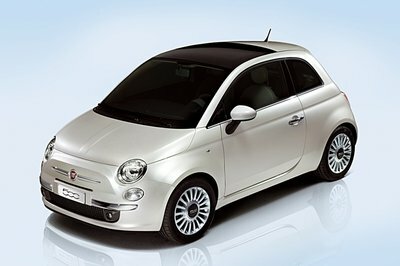 Note: all images courtesy of Fiat. 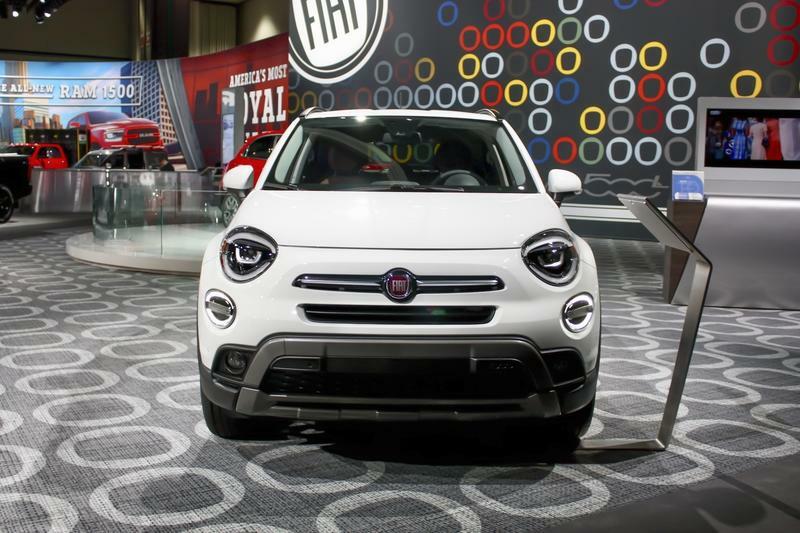 The Fiat 500X, the original Italian crossover, has been updated inside and out with new looks and technology to satisfy a driver’s every needs. It’s available with a choice of three trim levels, Urban, City Cross and Cross Plus, three petrol engines, including two brand new more efficient turbo petrol engines, and now comes with a host of safety assistance systems as standard across the range. The new Fiat 500X is on sale now priced from £16,995 OTR. 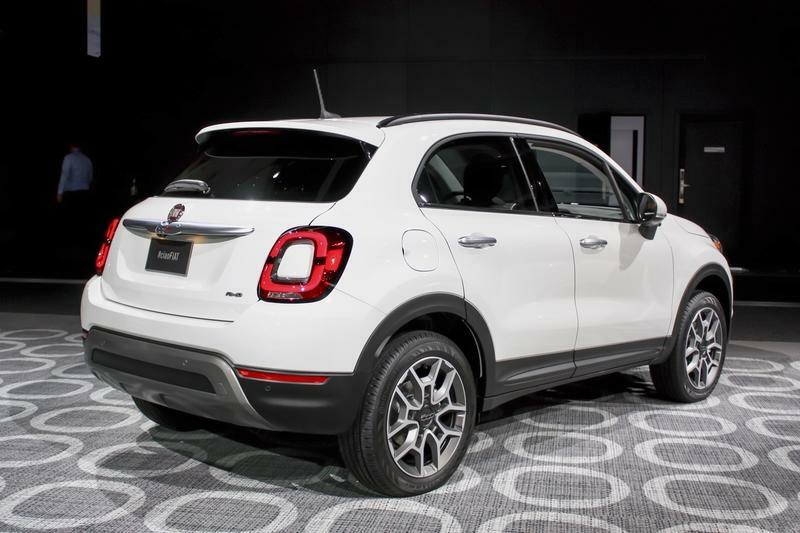 The new Fiat 500X has evolved to become even more modern and functional as it introduces new comfort and safety features, while adding even more 500 family style. New daylight running lights and LED rear light clusters are standard across the range, bring it even closer to the look of the rest of the 500 family. Standard on the Cross Plus, and optionally available on other trims, are the new LED headlights, made in partnership with Magneti Marelli. The LED daytime running lights give the front of the new Fiat 500X a clear, distinctive visual identity, while at the rear LED light clusters make the car even more recognisable, as well as increasing its visibility and safety on the road. As well as adding unmistakable 500 style, the LED headlights offer more powerful lighting, improving visibility, consume five times less energy than traditional halogens and reduce eye fatigue thanks to daylight-like illumination and covering a wider area. At a speed of 56mph obstacles can be spotted up to four seconds sooner – which is a distance of 100m –than with the standard halogen units. 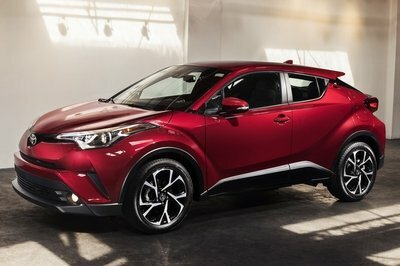 Reasserting their distinct identities, the new exterior design highlights the two personalities of the model – the new Urban look features an all-new front and rear bumper design to make tackling city traffic chic, while the new Cross look adds new-look protective skid plates for taking on adventures. Compact outside and roomy inside, its spacious and protective environment is embellished with the use of premium materials, high-quality finishes and handy storage compartments. 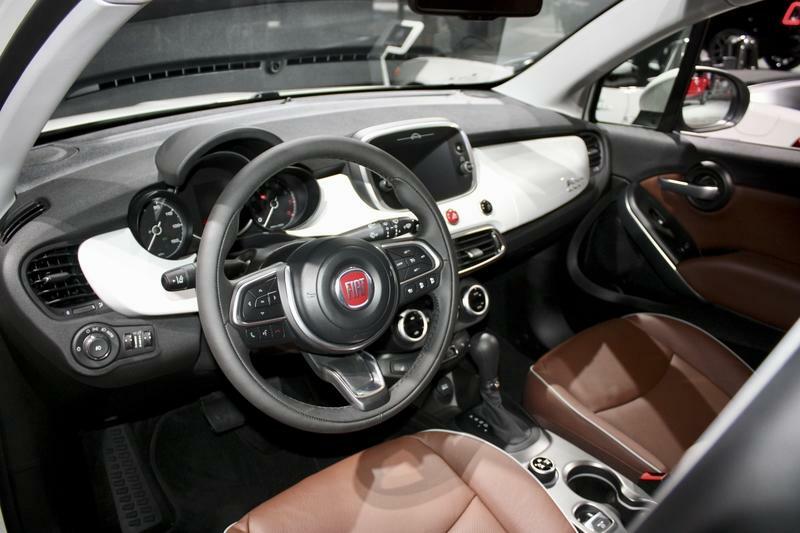 The comfortable interior is unmistakably Italian in its style, and comes with a choice of seven different finishes in a choice of fabrics and colours, a wide range of seat settings and a roomy boot. The completely restyled cockpit features a new instrument cluster, with graphics that are now even easier to read, together with a new steering wheel which is contoured to ensure better positioning of the driver’s hands, provides perfect grip in Techno-leather upholstery and includes integrated radio controls. The instrument panel maintains its arrangement into three circular elements, in familiar 500 style, blending vintage looks with modern technology. Two analogue dials with speedometer and tachometers are arranged on the sides, while the 3.5-inch TFT display in the middle provides key information to the driver. The new Fiat 500X is the first Fiat model to fit the latest innovative family of turbo engines, designed to strike the right balance for customers between the driving performance and economy. Euro 6D compliant and fitted with Gasoline Particle Filter (GPF), the new turbo engines are the result of over 75,000 hours of virtual tests, 60,000 hours of real-life off-vehicle tests and 5 million kilometres clocked up on roads worldwide to confirm their robustness and reliability. 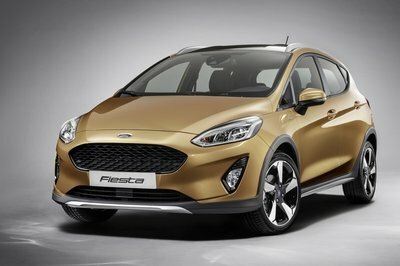 Developed on a modular structure with 0.33 litre cylinder unit, the new front-wheel drive turbo petrol engine line-up includes a three-cylinder 1.0-litre powerplant that delivers 120hp and 190Nm of torque and is paired with a six-speed manual transmission, as well as a four-cylinder 1.3-litre engine with 150hp and 270Nm of torque, in this case combined with six-speed dual clutch automatic transmission (DCT). Their architecture guarantees efficiency, modularity, a high degree of component and production process standardisation, flexibility and openness to future evolutions. The new engines are made entirely from aluminium alloy, ensuring unbeatable lightness (the three-cylinder version weighs just 93kg), while the cylinder block, developed in partnership with Teksid, is in high-pressure die-cast aluminium alloy, with a bedplate architecture for the best combination of ride, weight and structural performance. The use of many innovative technical characteristics contribute to improving performance and maximising driving comfort, such as direct fuel injection to maximise volumetric efficiency and the low inertia turbocharger controlled by an electrically operated wastegate actuator which, combined with a supercharger module water-cooled directly in the intake manifold, ensures a faster response and swift acceleration. The new turbo engines also optimise combustion efficiency through continual control of intake valve opening and timing. The specific intake and exhaust cam profiles improve low load efficiency by recycling exhaust gas through advance opening of the intake valves. When higher power is required, the engine reduces the real compression ratio by delaying valve closure, controlling knock and substantially improving fuel efficiency, even at the highest loads. The range of petrol engines in the new Fiat 500X is completed by the entry level 110hp 1.6 E-Torq, combined with manual transmission and front-wheel drive, which is now upgraded to meet the Euro 6D pollution reduction standard and now features Start & Stop as standard. In addition to style, rich contents and remarkable comfort, the new Fiat 500X offers customers a safe and connected driving experience thanks to the inclusion of safety assistance systems and the latest infotainment technology. Traffic Sign Recognition, Intelligent Speed Assist and Lane Assist are now offered as standard on all versions of the new Fiat 500X. In addition Blind Spot Alert, Adaptive Cruise Control and City Brake Control can be optionally specified. The new Traffic Sign Recognition system uses a camera mounted on the inside of the windscreen to read the speed limits on road signs along the journey. The data is then sent, in real time, to the instrument cluster display where it alerts the driver to the limits to be complied with.Intelligent Speed Assist works with the Speed Limiter, when activated, to adapt the speed of the car to the speed limit detected by the Traffic Sign Recognition system. It identifies the current speed limit and, at the click of a button, the Intelligent Speed Assist reduces the car’s speed. Lane Assist uses the optical sensor in the camera to identify the position of the car in relation to the lane markings on the road surface. If the car strays out of the lane, without the driver having indicated in that direction, the system triggers a visual alarm and applies additional torque to the steering wheel to counteract the unintended lane change. Lane Assist operates at speeds between 37mph and 112mph and can be activated by the driver. Adaptive Cruise Control can be activated for automatic reduction of the set speed when the car is approaching the vehicle ahead in the same lane, or when another vehicle moves into the same lane. It returns to the set speed when the vehicle in front accelerates or moves to another lane and operates from a speed of 18mph. The City Brake Control function on the new Fiat 500X can recognise obstacles in the path of the car and brake automatically if the driver does not take action to prevent a collision. The Blind Spot Alert use radar sensors to assist drivers during lane changes and when overtaking or being overtaken by vehicles out of their angle of vision. The system warns the driver of vehicles in blind spots via illuminating icons on the door mirrors and a beep, or when reversing out of a parking space it identifies vehicles arriving from either side. Making the smartest solutions, which simplify and improve life at the wheel, affordable for all, is at the heart of the Fiat brand’s mission. With this in mind, all versions of the new Fiat 500X come with the UconnectTM 7-inch HD LIVE touchscreen system, complete with Apple CarPlay integration and Android AutoTM compatibility as standard. This next-generation UconnectTM system comes complete with high-resolution 7-inch touchscreen, Bluetooth hands-free interface, audio streaming, text reader and voice recognition function, Aux and USB ports with iPod integration and controls on the steering wheel, all as standard. By downloading the free UconnectTM LIVE app from the App Store or Google Play Store, drivers can fully exploit the benefits of UconnectTM LIVE, which includes music streaming with Deezer and TuneIn, news from Reuters, connected navigation with TomTom LIVE and they can keep in touch with friends via Facebook Check-in and Twitter. Eco:Drive and my:Car also allow drivers to monitor their driving style to improve the economy and running costs of their car. The system can be further enhanced with an optional Parkview rear parking camera and new TomTom 3D integrated navigation system. The integration of Apple CarPlay and Android AutoTM offers the smartest and safest way to use the functions of a phone while driving. Apple CarPlay shows road directions optimised according to traffic conditions and it can be used to make phone calls, send and receive messages and play music while remaining focused on the road. Apple CarPlay also works with other apps on your iPhone, such as like your favourite audio, messaging, and voice apps. CarPlay features Siri voice control and is specially designed for driving scenarios. The system is compatible with Android AutoTM, as well, to continue the Android experience in the car, by "projecting" apps and services of the central display, and is designed to make retrieving information while driving easy and safe. The driver can use Google MapsTM to obtain route guidance and easily access music, multimedia contents and their favourite messaging apps. Easy, immediate interaction with devices guarantees the convenience of maintaining the same operating system even in the car, for constantly connected and safe driving. When you connect your Android smartphone to the vehicle or the compatible stereo system, the Android Auto apps appear on the vehicle’s display. To learn more about Android Auto compatible, visit support.google.com/androidauto. The new Fiat 500X is available with a choice of three trim levels, Urban, City Cross and Cross Plus, and three petrol engines. Customers will have a choice of 14 different colours, including the new tricoat Ivory, metallic Blue Italia and Techno Green. A choice of 17 and 18-inch wheels and seven interior configurations will allow customers to make the Fiat 500X their own. In Urban trim level, the Fiat 500X come with a comprehensive standard equipment list including LED DRL and rear lights, 16-inch alloy wheels, Techno-leather steering wheel, new instrument panel with 7-inch Uconnect with Apple Car Play and Android Auto and double USB port, manual air conditioning, Cruise Control, electric parking brake and 60/40 split rear seat. The standard equipment is completed by the new Traffic Sign Recognition and Intelligent Speed Assist, as well as Lane Assist system, 6 airbags and Electronic Stability Control (ESC). The City Cross version builds on the Urban trim adding the off-road look, enhanced by 17-inch alloy wheels, satin chrome inserts and body-coloured door mirrors. Front fog lights, 3.5-inch colour TFT monitor, automatic climate control and rear parking sensors complete the trim. The top-of-the-range Cross Plus version adds LED headlights, 18-inch alloy wheels, roof bars and dark tinted rear windows. Inside, it adds TomTom navigation to the 7-inch touchscreen, along with Parkview rear parking camera, dusk sensor and front armrest.